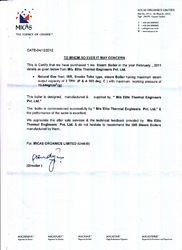 Performance certificate for Natural Gas fired 3 TPH IBR boiler by Micas Organics Ltd., Vapi, Gujarat, India. 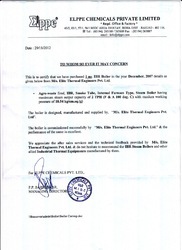 Performance certificate for LPG fired 2 Lakh kcal/hr Hot Air Generator from M/s. Aim Filtertech Pvt. Ltd., Chakan, Pune Maharashtra, India. 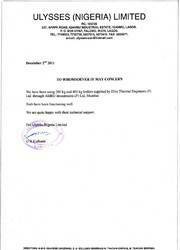 For more details please find the attached image. 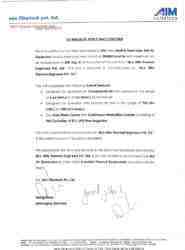 Performance certificate for 2 nos. Oil fired Vertical Coil Type Boilers having capacities of 200 kg/hr & 400 kg/hr respectively by Ulysses (Nigeria) Limited, Lagos, Africa.